Once upon a time when my alter ego was editor of the Bridport and Lyme Regis News, she introduced a feature in the paper which became very popular. Never mind wills of the week or court cases involving the usual suspects. What grabbed the readers' imagination was Where in The World. We'd ask for photos of them, the newspaper and an interesting location. A silly idea but, then, that's me all over. And bingo, the pictures began to pour in. I think it's trickled down to an occasional drip now, which is probably just as well because, really, does anyone want to see some random person's holiday snaps week after week? 'I can't believe people are interested any more,' said a friend from the village. Probably not. Still, at the time, a lot of people were. There were photos at Mount Everest base camp, Bridport in Tasmania, outside the Taj Mahal, on the Eiffel Tower, the Empire State Building, the CN Tower and even underwater. Hell, there was one taken on the moon and another of a world terrorist leader reading the paper while dressed as Dr Evil. (Someone told me the last two were Photoshopped). And then we changed it to It's Not Where You Are But Who You're With. This brought in a few gems, but was a bit more difficult. From memory, we had a surprised-looking Sven Goran Eriksson ambushed by a local plumber on an exotic holiday and then I can't remember who else. The reason I'm telling you all this is because I've just brought out a book, A Year in Lush Places: Tales from England's Rural Underbelly, a novella based on this blog and tales from Dorset. 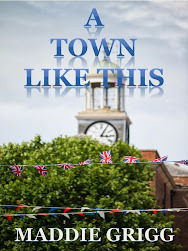 You can get it in paperback or on Kindle via Amazon or through The Book Depository, who offer free delivery worldwide. For all you Corfu fans out there, take another sip of iced coffee but stay with me here. 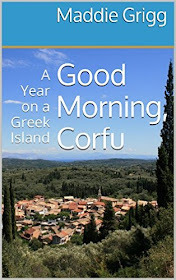 There will be a Corfu book out next year. And, as you'll know, the picture at the top of this post was taken on the sunny Liston. But, in the meantime, back to Lush Places. I have a Facebook page where I post snippets to do with Dorset and Corfu. As sales of the novella were going well, I asked casually for followers to post their photos of them and their books. It was only yesterday, and now it's snowballed. 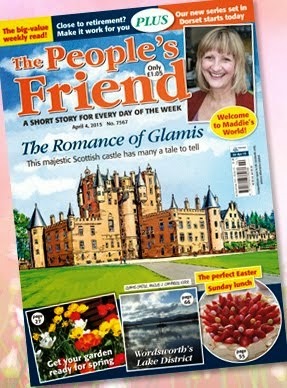 The latest features a series of pictures of my book on holiday in New York, read by random people including the concierge at the Trump Tower and some person with white gloves and some sort of miniature bearskin hat. It's a classic. Hop on over to my Facebook page and take a look. And if you have photos of you and your book in your own lush place, I'd love to see them.